Walking the SEO and Web Design Tightrope: How to Balance UX and Site Crawlability? It’s no longer enough to be a web designer in this day and age. Thanks (or no thanks) to website builders that allow startups and business owners without any design experience to create a website by just dragging and dropping elements unto a page on their site, the need for a professional designer may not be as high unlike before. The challenge now to designers is find a way to adapt to the needs of web-based businesses. This can be achieved by learning adjacent skills to complement their expertise in design. One of the skills they can learn is search engine optimization (SEO). SEO is a way for online businesses to achieve their online goals by ranking at the very top of search results for a specific keyword. Search engines, in particular Google, aim to return relevant websites to users who search for keyword phrases on their search bars. To determine the websites that will appear on search engine result pages (SERPs) for a particular keyword, search engines rely on on- and off-page factors. Backlinks – Links pointing to your site from other sites hold the most value among all off-page factors. However, there is a specific practice observed when building links to your site. Quality links (backlinks coming from authority sites) trump quantity. Spammy links will get your site penalized by search engines. For ideas on the types of links you can build for your site, refer to this excellent resource by Jon Cooper over at Point Blank SEO. Trust – This can be built through production of informative and factually accurate content. Providing your target audience with false information may affect your search rankings. Another way of building trust is appending your Google+ profile on each of the posts on your site or blog (although authorship has decreased in value over the years). Social metrics – There is correlation found in the number of shares, likes, and retweets with site’s position on SERP. The more shares your site pages amasses over time, the more it can climb up search results. Country and locality – Local businesses can get their sites to rank for their target keyword. Aside from earning links from websites at the same location as yours, filling out your Google+ Business Page with your location and contact details can influence your ranking as well. While these are just some of the things you will consider once you start taking SEO seriously, the factors listed above should help you gain a basic understanding on how this practice will help complement your design skills. The reason why SEO must be discussed in relation to web design is the struggle that exists between the two. Back then, you can’t have an optimized website that’s professionally designed. Much of the design consists of scripts and Flash that make your site intuitive to users but are not SEO-friendly. The main reasons for this are the time it takes for the elements to load and the lack of text found in the page (since scripts can’t be read by crawlers). In other words, design wants to take out the words from the page while SEO requires site pages to load in the faster time possible and contain at least 300 words for them to rank. Nowadays, online businesses have understood the importance of striking the perfect balance between an optimized website by observing the best on- and off-page practices while considering the best design practices that provide intuitive user experience and interface. 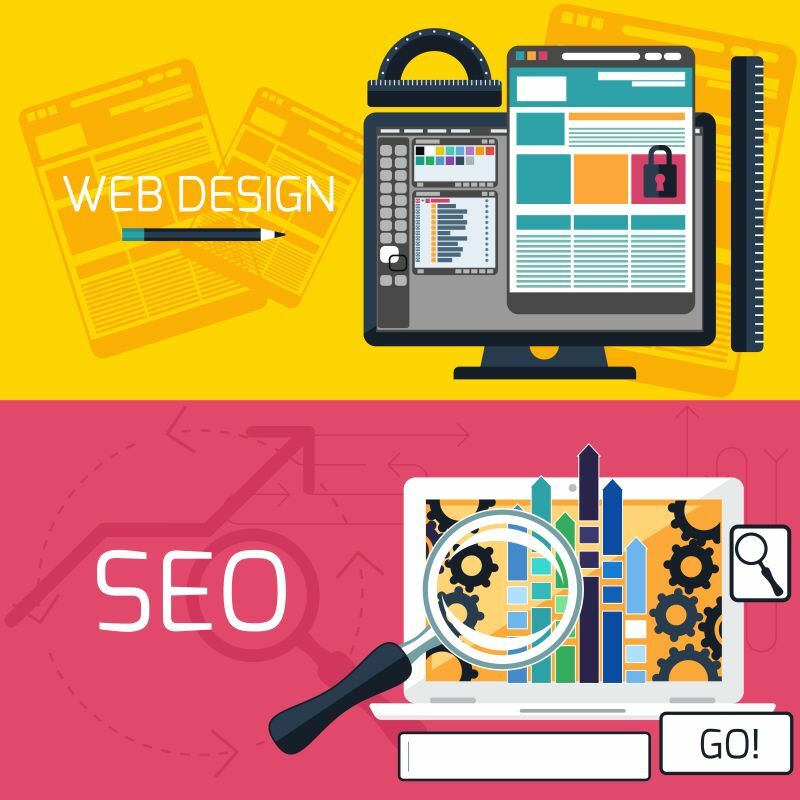 To give you a good overview on how to implement the best practices of SEO and design to your website, Web Marketing Group has taken the liberty to compile these for you by way of an infographic. By looking at the practices listed in the infographic, you can see how all web elements (content, social sharing, inlinking, keyword density, etc.) meld together to create harmony between disparate practices eschewed by SEO and design. Great! So how can I get actually do SEO? The biggest challenge for designers is the creation of written content. Designing an infographic is up their alley, down from weaving a story to gathering data to be turned into images. Bit it would be idea to have the ability to write long-form content that search engines love. As tempting as it is to hire or collaborate with writers to help provide web copy and constant stream of content for your client sites, you will need to at least learn how to translate your ideas if you want to maximize your profitability. For inspiration, read this extremely insightful post by Ana Hoffman over at Traffic Generation Cafe. Key takeaways from the post is developing your style and personality over time. Another thing to consider adding to your repertoire of skills is social media. This online channel has become more important than ever, considering that it has even usurped SEO as the channel that drives the most referral traffic. Learning how to craft the best possible posts and scheduling the posts at optimized times using a social media management tool will help you get things started. Final thoughts: While web design is an important and still a desired skill in the web industry, it is best to find ways to adapt with the growing needs of clients and businesses. By learning how to approach and integrate SEO into your design practices as listed above, expect more people to take on your services. What’s Your Response to Responsive Design?